*8-week courses are only offered in select terms. See the official Light University calendar for more details. 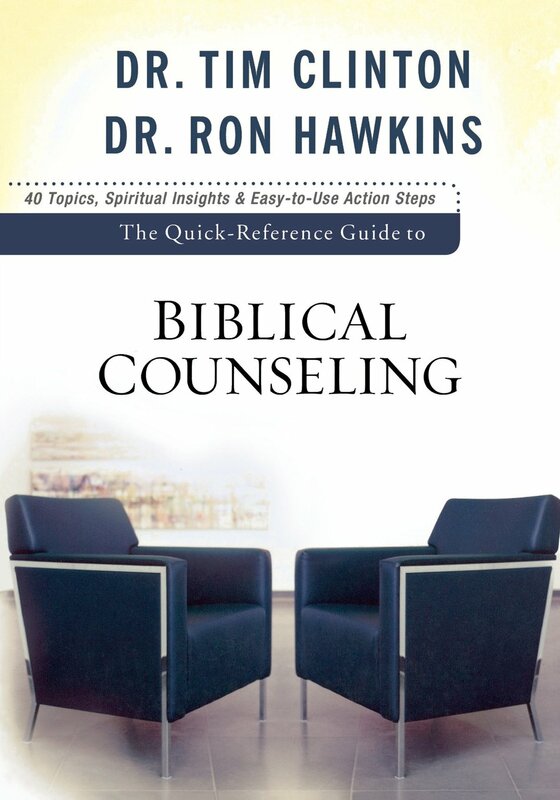 Dr. Tim Clinton and Dr. Ron Hawkins’ book The Quick Reference Guide to Biblical Counseling is your required material for both the 5-week and the 8-week course of your choosing. Caring for People God’s Way is designed to educate and equip a community of helpers within the church to offer careful, biblical encouragement, direction, hope, and personal growth to hurting people in a hurting world. Our goal is to help you understand the tough issues that people wrestle with today and use the Bible with confidence with those who need clear direction and could use some strong encouragement. Attending to the needs and issues of hurting people today is complex and, at times, overwhelming. As today’s generations search for purpose, meaning, and value, many are experiencing a pervasive sense of emptiness and loneliness. Breaking Free is designed to equip pastors, clinicians, physicians, and lay helpers become more aware of current trends and issues in counseling, deliver cutting-edge services and offer timely resources — all designed to help increase your counseling effectiveness.